NSAC San Francisco, also known as Pacific CBT, is located in the Pacific Heights region of San Francisco in the Healing Arts Building at 1801 Bush Street. NSAC-SF offers a full range of therapeutic services to treat social anxiety disorder. Treatment begins with a comprehensive diagnostic evaluation by one of our experienced therapists. Services offered include individual CBT therapy, cognitive-behavioral group therapy, alumni aftercare groups, and social skills coaching. 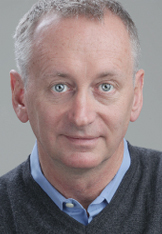 NSAC-SF was founded by John R. Montopoli, LMFT, LPCC. 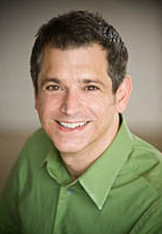 John is a licensed marriage and family therapist and a licensed professional clinical counselor. He has over 15 years of clinical experience. John completed an intensive training program conducted by the Beck Institute in Philadelphia. He is also a certified cognitive therapist by the Academy of Cognitive Therapy. John is passionate about helping others with social anxiety. He is especially interested in delivering high quality treatment by being actively involved in social anxiety research and the latest clinical developments in the field. John has been offering group therapy for social anxiety since 2010. Neil Howell, MFTI, PCCI is a pre-licensed psychotherapist with extensive training and experience helping clients achieve their therapy goals. After several years in the corporate world, Neil obtained his bachelor’s degree from the University of California, Berkeley. He went on to graduate from California State University – East Bay with a master’s degree in counseling with an emphasis in Marriage and Family Therapy. Neil is a registered Marriage and Family Intern and a Professional Clinical Counselor Intern. Neil currently serves on the Board of Directors for American Association for Marriage and Family Therapy – California. Neil has also obtained advanced training in Cognitive Behavior Therapy (CBT) for Anxiety & Depression by Dr. Aaron Beck & Dr. Judith Beck and Radically Open Dialectical Behavior Therapy by Dr. Thomas Lynch. Neil brings a strong theoretical foundation to the work he does with National Social Anxiety Center – San Francisco. He provides both individual therapy and co-facilitates social anxiety groups. Psychotherapy for individual adolescents and adults is conducted by NSAC-SF staff. Please contact us for availability. 10-week consecutive weeks held on Tuesday evenings held at a central San Francisco downtown location. All interested individuals should contact John Montopoli, LMFT, LPCC at (415) 689-4131 with questions and to schedule a pre-group intake meeting.